Ethan has over 10 years of experience in the fitness industry and has had previous employment with The Cleveland Clinic, where he focused on employee wellness. After years at The Cleveland Clinic, Ethan was offered the opportunity to work at Vanderbilt University Medical Center where he worked for the Inpatient Cardiac Rehab Department. 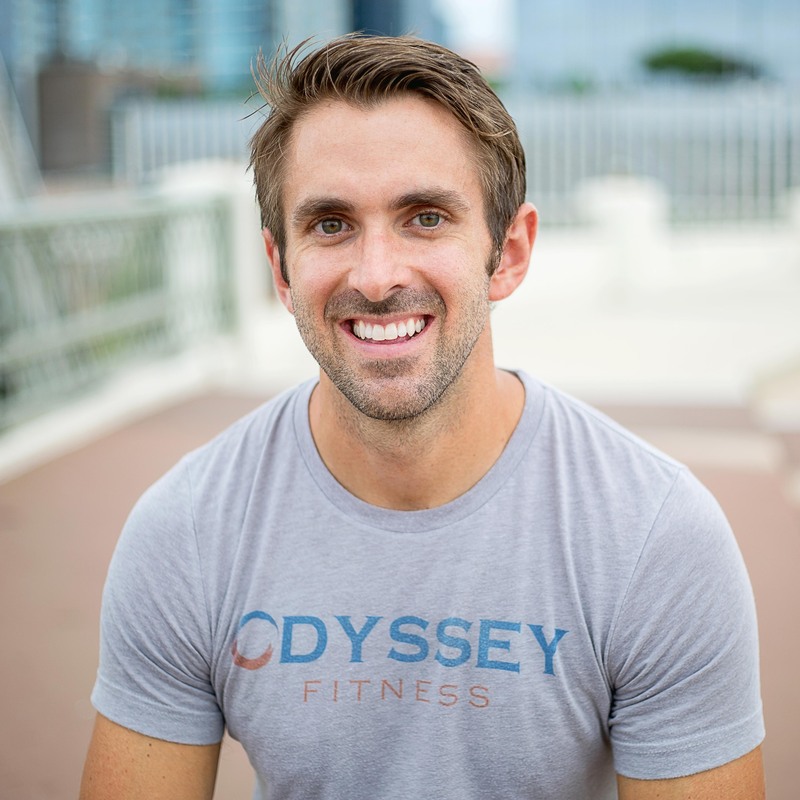 From there, he decided Nashville needed a Corporate Wellness Company that catered to the busy lifestyle of the city, so Odyssey Fitness became my next pursuit. Since opening in May 2017, Odyssey Fitness has already teamed up with several corporations to deliver onsite fitness services, drive down healthcare costs, increase employee morale, decrease employee absenteeism, and help attract & retain top talent for your company. Ethan has a bachelor's degree in Exercise Science from Youngstown State University. He is certified by The American College of Sports Medicine (ACSM) as an Exercise Physiologist (EP-C) and also holds a certification by the National Corporate Fitness Institute (NCFI) as a Certified Corporate Fitness Specialist (CCFS). Ethan plans on finishing his Masters degree in Exercise Science with a concentration of Sports Nutrition. What do people say about working with Ethan? "He is personable, knowledgeable, dedicated and thorough. He has been one of the best investments of time and money, I have ever spent. If you follow his recommendations, you will see results. I cannot recommend him highly enough." -Chris O. "He is not the stereotypical trainer. He is educated in his profession and specialty, and uses his evidence-based knowledge to help people achieve their goals the right way. "-Natalie W.
"I would recommend Ethan Painter and Odyssey Fitness to anyone! He has high expectations for himself and his team and that translates to his business. "-Kathryn L.